Tea for your tub! 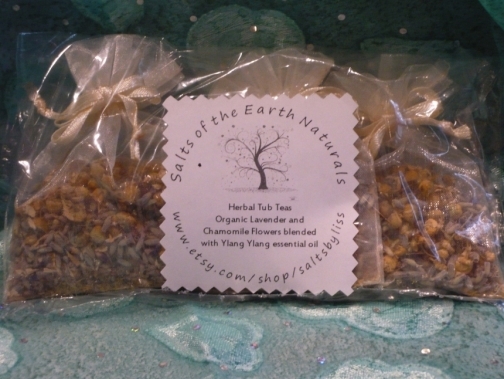 This Herbal Tub Tea is a blend of Organic Lavender and Chamomile flowers with pure Essential oils of Lavender and Chamomile also. 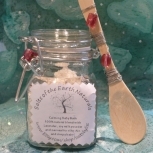 It is a very calming blend that will send your mind into dreamland as you soak! 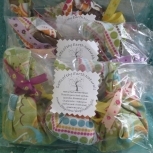 Each bag comes with 4 "tea bags" and you can use 1-2 tea bags per soak. 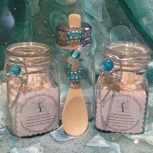 Ships FREE when ordered with another product! 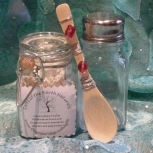 At Salts of the Earth Naturals, every purchase comes with a FREE gift - always.